Stir and strain over ice. Garnish with a twist of lemon. 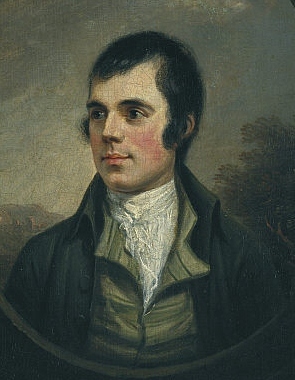 Scottish mythology tells us Robert Burns, the country’s best-loved poet, was a hard drinking womaniser and given the lines he penned in praise of Scotch whisky, and the fact that he (allegedly) died of rheumatic fever after falling asleep (drunk) at the side of the road aged just 37, I have no reason to doubt this. 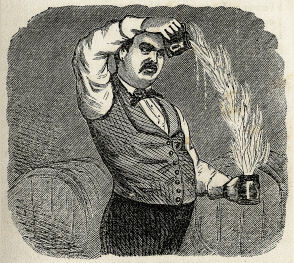 Even if Burns was wary of any more than the most occasional dram of the “king o’ grain” undoubtedly served neat – and while now there are those who continue live by the old Irish proverb of “never steal another man’s wife and never water another man’s whiskey” and then would consider a possible breach of the first part – the focus of all modern cocktails is (or should be) the subtle marriage of complex flavours, and as the defining characteristic of first-rate Scotch whisky is the quest for the same pleasure from the juxtaposition of oak and grain, why shouldn’t fine malts and fine cocktails go together like a country lassie and mawn hay? Add a large measure of Scotch whisky (blended is best here), a measure of sweet vermouth and 1/4 measure of Bénédictine to a mixing glass. Add ice and stir well. Strain into a chilled martini glass and garnish with a twist of lemon (and possibly some shortbread). David Embury’s version replaces the Bénédictine with Drambuie largely on the basis that it is Scottish. Add a large measure of Drambuie, a measure of sweet vermouth, a teaspoon of absinthe, a teaspoon of maraschino and a double sploosh of Angostura bitters to a mixing glass. Strain into a chilled martini glass and garnish with a twist of orange. While ‘The Big Yin’ usually refers to Billy Connolly, it’s easily applicable to any ‘big man’ and in the west of Scotland that’s pretty much anyone worthy of the name, so why not Rabbie? Dissolve a teaspoon of brown sugar with a little water in a rocks glass. Add a sploosh each of chocolate and orange bitters, a piece of ice, a piece of orange peel and a large measure of whisky (an old highland malt is best here). Stir well and serve with a twist of orange. Add a large measure of whisky (cask strength is your best bet here. Use an Islay or Highland malt here – something with a pleasant complexity) and a sploosh of orange bitters to a mug. At this point you can choose to add a liqueur, some spices or some fruit – purely optional, but Chartreuse and Chambord or Crème de Mure are good. Add a large measure of boiling water to the mug and ignite the liquid. Mix by pouring the blazing mixture from one mug to another four or five times. Sweeten with a teaspoon of Demerara sugar and serve in a tumbler garnished with a twist of orange peel. The act of concocting a Blue Blazer requires a little practice (with water) to ensure you have the pour right before you add flames to the mix. Be sure not to burn the house down (even though you think it is what Robert Burns would have done) and don’t forget to extinguish the drink before you take a sip. This entry was posted in Absinthe, Bar Techniques, Bitters, Chambord, Crème de Mure, Drambuie, History, Maraschino, Sugar, Syrup, Twist of Lemon, Twist of Orange, Vermouth, Whisky and tagged Angostura, benedictine, bitters, Burns Night, Burns Night cocktails, Drambuie, malt whisky, Peychaud's, Robert Burns, Robert Burns cocktails, scotch cocktails, scotch whisky, twist of orange, vermouth. ← What Are You Drinking New Year’s Eve?